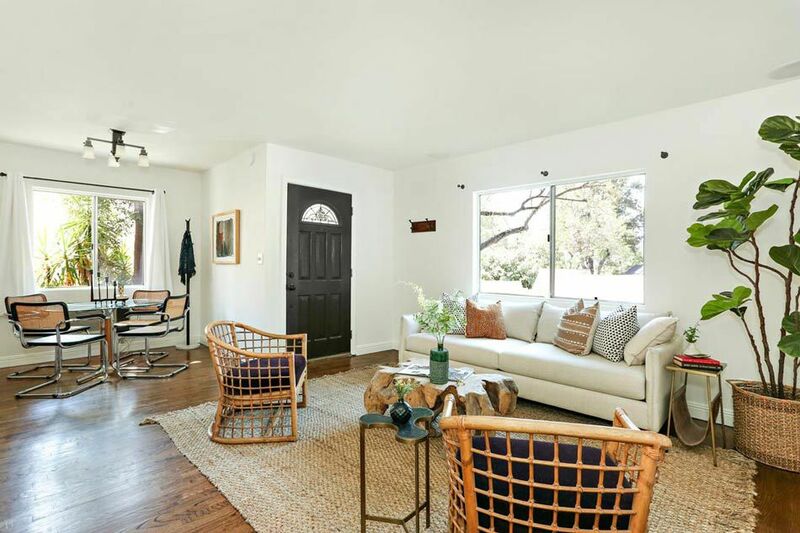 Tucked away on a cul-de-sac in Glassell Park, this charming home wraps you in greenery and the idyllic sense of a private retreat. Living and dining are bathed in sunlight, with wood flooring flowing underfoot. Kitchen amenities include travertine tile floors, wood cabinetry and a stainless appliance suite whose centerpiece is an impressive Bertazzoni range. Bamboo and grapevine plantings make the back yard and patio your perfect place to cook, dine, relax and play in a pastoral hillside setting. Just beyond your doorstep find a cluster of nearby eateries including MaxCity BBQ, Lemon Poppy Kitchen and more. 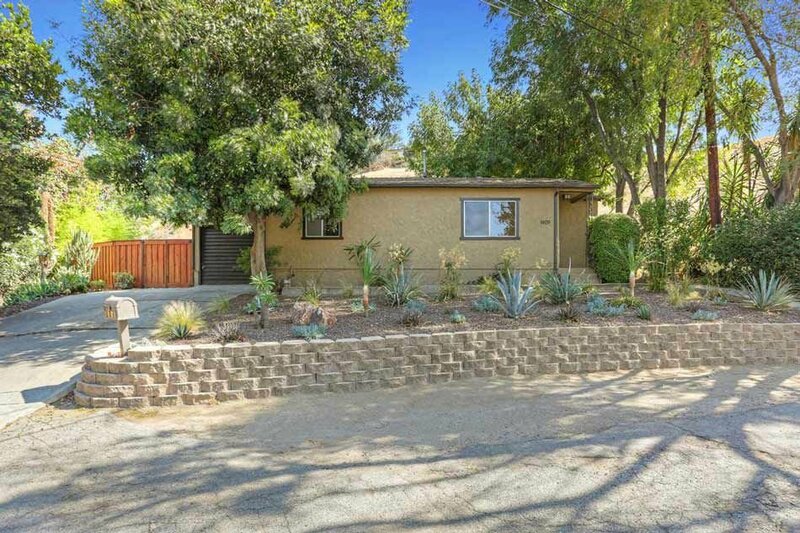 Live your urban homesteader’s dream and purchase this home in conjunction with adjacent parcels of land at 1413 and 1417 W Ave 43, your opportunity to own and develop property in Northeast LA. Featuring sprawling views, abundant sunlight, and boasting a studio with a separate entrance, this modern hillside retreat is near everything you need — the epitome of modern bohemian living. The artful residence provides a versatile layout with oversized windows framing a scenic panorama. A lower-level bedroom features French doors opening to a sun-splashed balcony, an idyllic perch for morning coffee amidst stunning vistas. The bonus studio flows to a patio, extending the space — an indoor-outdoor setting for working, creating or escaping. The yard expands across a fenced hillside, beckoning pets to roam and run. There is covered parking, ample storage and updated systems including ductless a/c, dual-pane windows, alarm and keyless entry. Find great opportunity in this Spanish style home that gets you into Mt. Washington at a rarely seen price. Ready to realize its full potential, the home features formal living and dining areas with hard surface flooring, and easy flow to the outdoors. Hilltop views stretch across Elysian Heights, creating an expansive atmosphere and plenty of room to make this place your own. The home has central a/c, stainless appliances, a large gated driveway to accommodate several cars, and ample storage for all your practical needs. This excellent location offers easy access to local shopping and dining favorites including Division 3, Habitat Coffee, Verdugo Bar and more.